A magnificent French château created in the late 19th century by John and Joséphine Bowes, housing internationally renowned collections of European fine and decorative arts spanning five centuries. The permanent collections comprise works by artists such as Canaletto, El Greco, Courbet and Turner, and contain one of Britain’s most extensive collections of ceramics, including Italian maiolica and Sèvres Porcelain. Its iconic Silver Swan, an 18th century musical automaton, plays every day at 2.00pm. 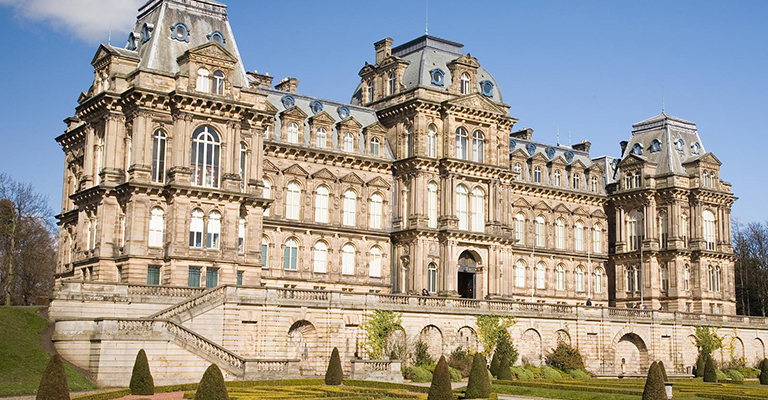 The Bowes Museum is a registered charitable trust. Its aim is to foster a deeper understanding of art and culture for people of all ages and backgrounds through engagement with the fine and decorative arts.